Welcome to the Jeffalytics 90 day challenge. Over the next 90 days, we’ll be releasing 90 videos on our YouTube channel! We’ll also be publishing 90 blog posts, 1 to go with each video, across our network of websites. That’s 1 video per day and 1 blog post per day, for the next 90 days. If you’re into digital marketing, PPC, Google Analytics, or business growth hacking you’re going to dig this!! This is a “no-fluff” project. It’s all killer, no filler. 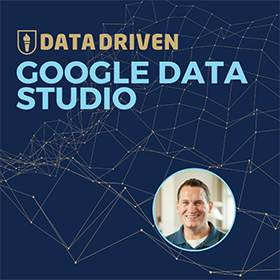 We’ll break down aspects of Google Analytics. We’ll go in-depth on AdWords. We’ll work on building your agency, consultant, and freelance marketing skills. We’ll review our favorite digital marketing tools and technology. And we’ll give you a behind the scenes look at Jeffalytics. Here’s an inside look at our publishing schedule so you can follow along with all the content. Every Sunday we’ll release a video that goes behind the scenes of the Jefflaytics operation. We’ll show you how we research and come up with ideas for our content. We’ll also let you see how we film, edit and get our videos ready to go out on YouTube. You’ll get an insider look at how we write our blog posts. And you’ll see how our team collaborates to stay on track with our publishing goals. On Mondays, I’ll provide detailed answers to questions from the PPC Mastery Course forum. My answers will break down AdWords techniques and strategies. We’ll also talk about breaking PPC news and much more. 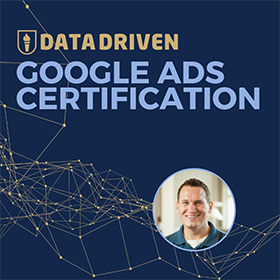 If you’re interested in learning PPC advertising, follow along. Monday’s will be packed full of PPC knowledge and resources you won’t find anywhere else. Tuesday will be a big-time video and post about a digital marketing topic that has us fired-up. We’ll take subscriber questions, look at case studies, or review other materials in-depth. These will be the topics that deserve more than 3 or 4-minute video to give you full information. Here’s a teaser: This Tuesday we are taking a comprehensive look at Google Analytics custom reports! Wednesday we’ll preview our interview with our upcoming guest for our Thursday Jumpstart Podcast. Our Jumpstart Podcast is a weekly interview with accomplished digital marketing pros. Past guests of the Jumpstart Podcast include Rand Fishkin, Lary Kim, Purna Virji, Lea Pica, Sujan Patel, and many more. During our podcasts, our guests answer questions about their digital marketing journey. They share details about the life events and strategies that lead to their success. Every Wednesday we’ll do a preview of what’s coming up on the Jumpstart Podcast. Catch the preview on Jeffalytics and YouTube. Then subscribe to the podcast on iTunes. Thursday we dissect questions from our Analytics Course forum and provide detailed answers. These will be hands-on, dirty details style videos and posts. 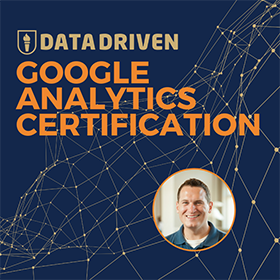 If you want to upgrade your web analytics aptitude, these videos will be a great place to learn new skills. Agency Sage is a weekly newsletter about mastering the business of digital marketing. Starting this week, we’ll be adding a video to our weekly post. We’ll talk about the challenges facing one-person consultants, freelancers and agency owners. We’ll look at strategies and techniques that can help them grow their businesses. Saturday you’ll get a video and post that talks about the tools we use every day at Jeffalytics. We’ll show you the specific tools we like most, and why. We’ll also look at how we use these tools to create high-quality digital marketing content. And we’ll take a look at how we use tools to build our online courses. If you’re into internet marketing tools, you’re going to enjoy these posts. Putting out meaningful content is great… But it wouldn’t really be a challenge if we didn’t set some tangible goals. Here are the targets we want to hit during our 90 day challenge. We are starting the challenge with roughly 1500 subscribers. By the time our 90th video goes live, we want to hit 5,000 subscribers. Our Jeffalytics email newsletter currently goes out to about 15,000 people. We’ll try to build this list to 20,000 subscribers over the next 90 days. If you enjoy the videos, we know you’ll also like the newsletter. So, feel free to jump on the email list if you’re up for twice the digital marketing impact. We want to double our website traffic. Traditionally, we get about 13,000 monthly visitors to our website. We want to reach 40,000 monthly visitors during 2018. Our plan to get there is 90 videos and blog post that provide high-quality digital marketing content. I am not sure if we’re going to reach these goals. But hopefully, you’ll follow along and see if we get there. We’d love to have you learn from us, help us, and teach us how we can make it happen. The easiest way to join the 90 day challenge is to subscribe to our YouTube channel. YouTube will send our subscribers weekly emails about all the videos we published over the past week. Want to know about each video as soon as it comes out? Sign up for 90 day challenge email newsletter. The newsletter will be the best way to make sure you don’t miss any of the content. And of course Tinder [no, not Tinder, just kidding]. But if Google+ still exists, you can follow us there too. We’ll make sure to share our videos and posts on all our social media channels to keep you updated. My favorite! Do the challenge with us. Commit to doing one activity a day for the next 90 days. If you can commit to this, you are going to see some tremendous growth! Need to get better at Google Analytics (GA) or PPC marketing? Commit to working in GA or AdWords every day for the next 90 days. Use us to help you stay motivated and upgrade your skills. Consistency and goals are the keys to getting better. We’re going to be working hard to put out the best content we can. If you like what we’re doing, let us know. Or send us a question. We’ll do our best to work every question we can into our content plan. And who knows? If we have more questions to answer, maybe we’ll just keep going beyond 90 days. Look out for video #2 on YouTube and ppccourse.com tomorrow. We’ll be discussing everything you need to know about AdWords Grants. Yes, you read that right. Google actually gives money away. Learn more about Google’s altruistic side in our day #2 video.